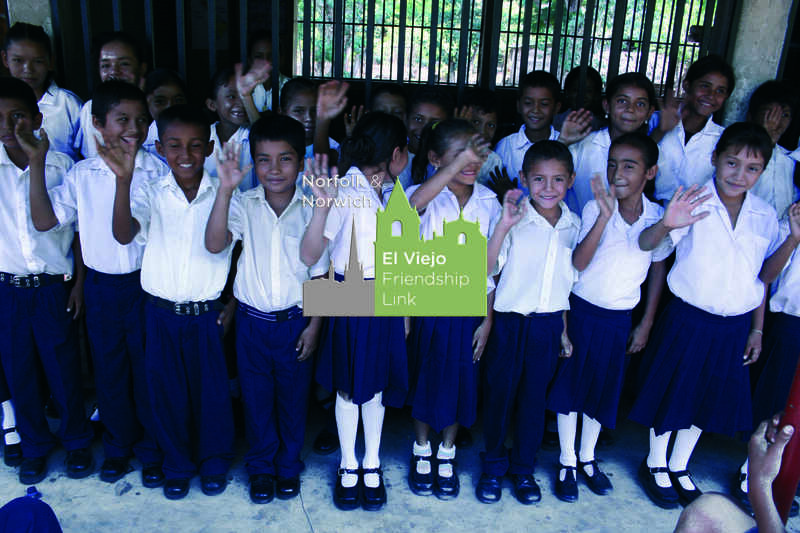 In 2001 a delegation from The Link was told by the Mayor of El Viejo about a major problem of school attendance. Many children were prevented from attending primary school because of the poverty of their families who were required to pay school fees and provide exercise books, pens and pencils as well as a uniform. In view of the fact that many people lived on a 1$ a day, or less, many families were completely unable to meet these demands. Following discussions with the Mayor, the Link designed a project to provide 100 scholarships each year for a period of six years (i.e. a total of 600 scholarships by year 6). The scheme was finalised during a visit to Norwich by the Mayor in 2002 and an application for funding was made to the National Lottery. Unfortunately the Lottery application was unsuccessful and the project had to be revised after the initial 100 scholarships in the first year. The Link now maintains a total of 200 scholarships each year. The local council nominated eight primary schools from the poorest parts of the area to participate in the scheme, two in the urban area and six in the rural area. Each scholarship initially provided a school uniform (trousers/skirt, shirt/blouse, socks and shoes), a schoolbag, 20 exercise books, pens and pencils and a sum of $10 per scholarship child given direct to the schools used to purchase supplies. The scholarship packages are distributed at the beginning of the school year in February. This has become a celebration event with local councillors, teachers and parents all taking part. In 2008 each scholarship cost £21.00. Changes since then have affected the scheme. Due to changes in the exchange rate the cost in 2009 increased to £30.00 and following recent adverse changes to the exchange rate and reducing funds the scheme, in consultation with the teachers and parents in Nicaragua, was further revised. They asked that the same number could be funded but to stop providing the uniforms as it was more important for the 200 to be in school than reduce numbers. The project sets out clear criteria for awarding a scholarship, and the conditions that have to be met by the pupils and their parents. The children are required to have a good attendance record and reach a standard of attainment. The parents are required to ensure that the children meet these requirements. A committee of teachers has been created with representatives from each of the eight schools to oversee the project and to discuss and deal with any problems and to make suggestions to the Link for improvements or changes. The committee meets every two months and is chaired by the Link Representative. More recently the local delegate of the Nicaraguan Ministry of Education has also been included in the committee. A small presentation is made to students who successfully graduate from grade 6 each year. The total number of scholarship children who have graduated from grade six since 2008 is 398. A not insignificant contribution to primary education.